If your favorite cane chair is a little the worse for wear, you may need to know more about cane chair repair. The woven cane in your chair can be renewed, repaired or replaced. The chair frame itself can be repaired, but not replaced, as the existing cane would not fit a different chair. Caning is a common way of creating chair seats and backs for wooden rocking chairs, side chairs, formal and casual chairs, a practice dating back to the 1800's. 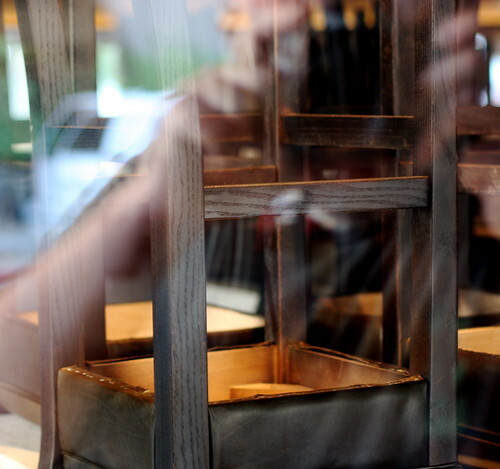 At one time, furniture manufacturers sent chairs out to local craftsmen who did the weaving of the cane seats and backs by hand, and returned them to the factory for chair assembly. The style of the weave could be elaborate or simple, and so could the chair styles. When a handwoven cane seat broke, the craftsman had to hand repair it or reweave the entire seat. Now, cane is woven by machine in factories, glued into chair frames, and easy to replace. It is easy to identify a cane chair that needs repair. It may be a chair or rocking chair with a woven seat and/or a woven back, in which the caning has stretched out or become "rump sprung." Or, the actual cane can break, leaving a hole in the weave. The chair frame itself may need repair because of a broken leg or arm, or nicked or damaged wood. Stretched out caning can often be renewed. When cane is originally woven, it has to be soaked to become pliant and workable. To tighten the weave again, the cane can be sponge-washed in hot soapy water and left to soak. The caning will tighten up as it dries and be almost as firm as it was when new. Surface nicks in the chair frame can be sanded down, and the finish or paint renewed. Repairing a puncture in the caning with glue is one type of cane chair repair. However, if the break is big, the cane seat or back needs to be removed and replaced with new caning. Woven cane is available for purchase in sheets that can be trimmed and glued into the spline in the groove of the wooden frame. Re-gluing a broken arm or leg is one type of chair frame repair. Another is having a new arm or leg created if the old one is too damaged. Before the caning is glued back in place, the chair can be refinished or repainted. There are professionals you can hire to do this for you, or you can repair the chair yourself. If your cane chair is part of a set, repair it to keep the set complete. Or, if finances are an issue, it may be less expensive to repair the chair than to replace it. Also, an older cane chair may be superior in the quality of construction and the wood used when compared to the factory-made options found in today's market. For instance, some new cane-look chairs are made of resin or polymer filaments that have been twisted and heat-set. This synthetic material cannot be easily repaired or replaced. The benefit of repairing your authentic cane chair is that it can give you many more years of use.